ECOMM CURRENT OPENINGS: Urgent Opening for Customer Care Executive in Real Estate Co. 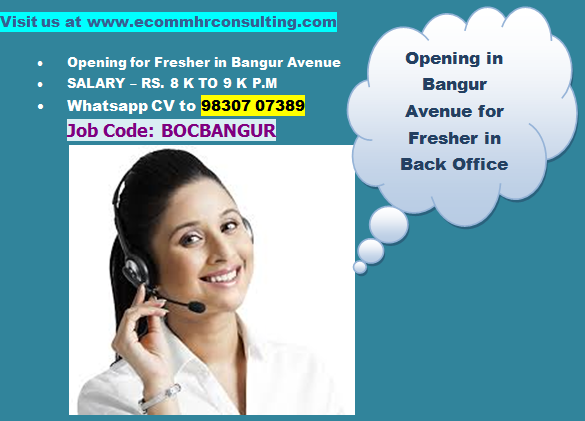 Urgent Opening for Customer Care Executive in Real Estate Co.
CTC - rs. 2.25 lacs. Attending walk-in customers and answering their queries. Coordinating Customer Site visit and attending customers. Receiving & making customer calls. Communicating with customers for providing information over phone orthrough e-mails, website, phone app etc. Maintaining and updating the enquiry/lead/visit database. Receiving requests from customers any kind of amendment related to allotment and processing the same. Coordination with customers for collecting and execution of various documents, agreements, deeds etc in respect of flats sold. Receiving installment payments from customers regarding their flats and issuing receipts thereof. Collection & Outstanding MIS reporting. Sending Payment Notices to customers as per schedule. Maintaining & updating the Customer Complaint Register. Follow-up with Project Team for resolving the complaints within deadline. Coordinating with customers for complaint resolution. Coordinating between HFCs and Customers for smooth sanction / Disbursement of Home Loans.